The new 2014 Mazda 6 was designed with the everyday driver in mind. It is a mid size sedan that has a sporty look along with sleek, modern lines to make this car look like much more than the average sedan. Any car shopper that is looking for a mid size sedan should consider these points when choosing to buy a Mazda 6. As the number 4 most affordable car in the mid size sedan class, the Mazda 6 is a great option for anyone that is looking for an affordable car. 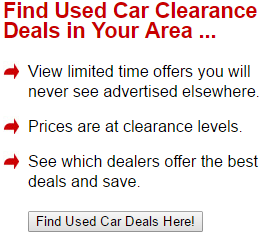 With a base MSRP of $20,990, this car is affordable to nearly ever person on any type of budget. For many people who are buying cars, safety plays a key role in the car that they choose. The Mazda 6 scored an overall 9 out of 10 in safety features. It holds a 5 star ranking in 2 out of 4 categories in safety- overall rating and side crash rating. The car achieved 4 stars in frontal crash ratings and rollover ratings. Despite the larger size of this sedan, it has excellent braking power. It is a lighter car so it is able to brake more easily than some other cars that are in its class. Even doing high speeds and cruising down winding back roads, the braking of the Mazda 6 is exceptional for a car of its class and enables drivers to have a more fun driving experience. With a four cylinder engine that has the power of 184 horses, the Mazda 6 has exceptional power for a car in its size class. It is able to quickly accelerate on any type of road and has a lot of power behind the drive. The car is a six speed and is available in automatic on all models and manual on touring and sport editions. This car is very much on par with the rest of its kind, although it is slightly bigger than most in the mid size sedan class. It is large on the outside and roomy on the inside while still managing to stay within the mid size category. 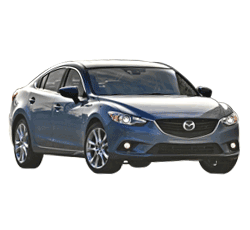 The Mazda 6 is an excellent option for someone that is looking for a larger mid size sedan. Due to the size of the car, the size of the engine and the various performance aspects of the Mazda 6, it boasts excellent gas mileage. The automatic transmission version of this car has an impressive MPG rating of 26 miles per gallon city and 38 miles per gallon highway. While the manual transmission model gets slightly less miles per gallon, both options are excellent on gas. The exterior design of the Mazda 6 is what grabs most drivers attentions. The outside of the car boasts sporty features and sleek lines that look more like a luxury vehicle than an average mid size sedan. The exterior comes in many different eye catching colors that will be sure to please any driver; it also comes with extra exterior options. While most drivers are impressed with the exterior of the car, they are generally more surprised about the interior. It is a sleek, sparse design that allows plenty of room for interpretation within the car. The easy to use controls on the panel make the car fun to drive while being entertained. The Mazda 6 was rated the number one car for seat comfort, with plenty of room to sit and enjoy the cushy seating. This technology that is available in most Mazda cars and all Mazda 6 options is an excellent way for drivers to enjoy the drive while they are still having an easy to use car that is great on gas. The company worked to design the technology to make the car worth driving by combining excellent fuel economy and responsible designing in a fun to drive car. The Mazda 6 is available with many different options. The base model, the sport model and the touring edition are a few of the options that allow drivers various options to customize their car. Alloy wheels, navigation system, premium interiors and specialty colors are just a few of the extras drivers can get when they choose their favorite package. 1. You want a more popular option- despite the affordability, design and driver friendliness of this car, for some reason it has not quite caught on as well as some of the other cars that are available in its class. The Mazda 6 does not compromise anything, other than a popular name tag that some of the other vehicles have. 2. You want a heavy car- the Mazda 6 is a very light car. It is one that will probably not do well in deep snow or navigating thick terrain. It is important for drivers to understand that a lighter car will do better navigating turns and driving highways, but it will not do well on unpaved roads or as an off road vehicle. 3. You want to spend more money- as one of the most affordable in its class, the Mazda 6 is not a car for big spenders. While the price does not force users to compromise any performance or luxury, it is in essence a cheaper car. As the old saying goes, you get what you pay for and the Mazda 6 is not one that is going to cost a lot of money; they are also more affordable to fix than others in their class. The Mazda 6 is an excellent car as a daily driver, for a first car or one used simply for cruising. It's sleek design and light weight make it ideal for fun rides and its safety features make it excellent for protecting precious cargo. Although not as popular as others, it is one of the best in its class.